This blog contains schematic easy to grasp - hands on - help in performing searches in economic databases, making work sets and making them inter-exchangeable between the databases. * Disclaimer. I am not a finance professional. Most posts are the result of personal findings. All presented images are scaled and can be enlarged to original size (click the picture). Not all databases use the same CUSIP. 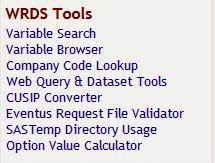 Take note of the other company IDENTIFIERS! As for using Tickers instead of CUSIP. Tickers are a good identifier in environments that are up to date and don't cover historic tickers. REMOVING OR ADDING THE 9TH DIGIT? Note: I am certain there are more catches lurking to meddle your results. I guess it is recommended to download as many identifiers and information on the issues as you can find. 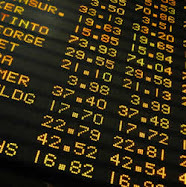 Don't forget: the number of available stock exchanges in CRSP is limited (NASDAQ, NYSE, AMEX). Compustat might cover more. Download stock exchange code as well. Second: if you want to download from CRSP and venture to data from Fundamentals Annual, keep in mind that both databases cover different entities. "Many databases that have information on North America include CUSIP codes, but there are different versions. Some databases include only include issuer level CUSIP-6 codes. 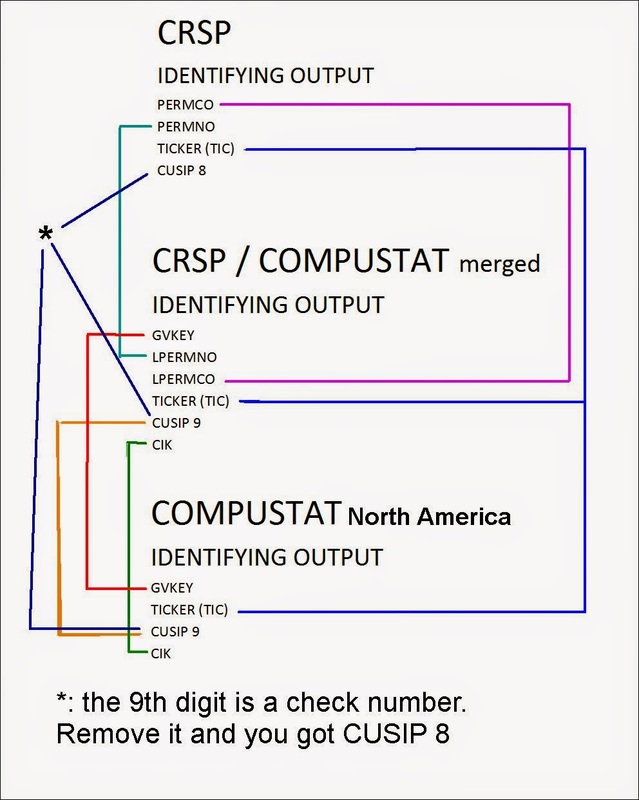 Other databases include the CUSIP-8 digit or full CUSIP(CUSIP-9). 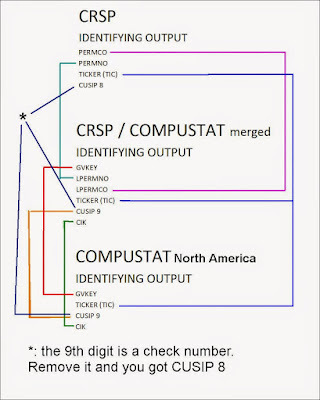 If you need to use the full cusip code for research and only have a list of Cusip-8 codes, you can use the CUSIP tool to create a text file with the calculated CUSIP-9 codes. The tool was created by Paul Barendregt using Python." Checking how many numbers you need for CUSIP is to count the longest CUSIP codes. Or check graph above. In this case it is 9.
we can conclude that the most right digit in the codes are the check digits. In other words, we need to add zeros. Digit group symbol (thousands and such) . Recall I mentioned the output conflicting with Excel? That happens to some people, depending on the computer they are using. To be precise: you'll see a little green triangle (1) in the top left of your sells > there is a hidden apostrophe (2) ... and that needs to be removed . . .
4. Paste as number !! 5. It should be OK now. 6. This also (partially) happen to your CUSIP codes. Left in the cell there is a hidden apostrophe. Removing this and thus enabling formulas. 5. Depending of the number of characters you want to keep: tell the actual number. So, CUSIP6 number is 6; CUSIP 8 number is 8 etc. Remove first two characters in a spreadsheet. E.g. : Excel formula ( ƒx) Right number of characters 8, result is CUSIP 8. Copy this into a txt file (note pad) and save. Export as Tab delimited TXT file.